TORONTO, November 22, 2018 – The Canada Revenue Agency treats taxpayers in similar situations in different ways and does not accurately report the results of its compliance activities, says the Auditor General of Canada. News of the double standard comes just one week after a CRA public relations campaign during which the agency touted its record in pursuing offshore tax evaders. 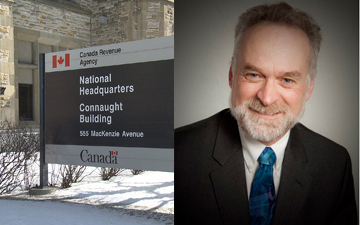 In his audit of compliance activities at the CRA, Auditor General Michael Ferguson found that the CRA inconsistently applied tax rules when it audited or reviewed taxpayers’ files, even though the Taxpayer Bill of Rights requires the agency to apply the rules in the same way to taxpayers in similar situations. It gave different taxpayers in similar situations different times to provide information and waived penalties and interest inconsistently. As the report points out, the federal government’s budgets in 2016 and 2017 gave the CRA almost $1 billion in additional resources to help enforce taxpayer compliance. The additional funding came with expectations of generating about $5 billion in additional revenues within five years. These funds would be used, for example, to hire additional specialists, enhance business intelligence and deter tax evasion. In this, our first report on the Auditor General’s findings, we will focus on inconsistencies in the application of the CRA’s compliance activities, but the report is part of a larger pattern at the CRA that has implications for Canadian accountants, especially those working in taxation. International and large businesses with revenues over $250 million. Taxpayers with offshore investments or assets in another country. Small and medium-sized enterprises with revenues under $250 million. The CRA requested information more quickly from individual Canadians and gave them less time to respond than it gave to other taxpayers, such as international and large businesses, and taxpayers with offshore transactions. The CRA automatically disallowed expenses as eligible income tax deductions if individuals could not provide receipts within 90 days. For taxpayers with offshore transactions, however, the CRA extended time frames by months and even years, taking on average more than 18 months to complete audits of offshore transactions. “Sometimes, the Agency did not obtain information at all, and the file was closed without any taxes assessed,” says the report. According to historical data, the longer it takes the CRA to enforce compliance, the less likely it is to collect taxes due, especially from taxpayers with offshore assets. The report notes that those with offshore assets, as opposed to individuals and domestic businesses, can liquidate assets and transfer funds, keeping one step ahead of the CRA. The CRA has agreed to a recommendation from the Auditor General Ferguson to set time limits for all compliance audits. While noting that “the complexity of the request drives the time provided to respond,” the CRA agreed that Ferguson had identified a lack of fixed timelines and will set formal deadlines and criteria for extensions by March 2020. One year ago, at a Confederation Centre speech in Charlottetown, Prime Minister Trudeau put income inequality and tax evasion at the centre of a speech on the history of Canada. According to Trudeau, his government’s increased funding of the CRA was paying off in additional revenues. "There are people in Canada who are so wealthy that not only do they think they don't need to pay their fair share of taxes, they're forcing us to spend a billion dollars to go after them just so they'll do the right thing and pay what they owe," said Trudeau. The Liberals made income inequality a central plank in its election campaign in 2015. Since then it has been embarrassed by offshore tax evasion and aggressive avoidance scandals disclosed in the Panama Papers, Paradise Papers and within its own government. In 2017, in a clear victory for small business and the accounting profession, the Finance Minister was forced to retreat from a bid to tighten restrictions on professional corporations. This year, a public sector survey revealed that the CRA’s own auditors believed the tax system favoured wealthy individuals and corporations. Canada has, however, joined more than 100 international jurisdictions in implementing the Common Reporting Standard (CRS), approved by the Organisation for Economic Co-operation and Development (OECD), which has led to the exchange of more multinational tax information exchanged under the Country-by-Country (CbC) Reporting initiative. The CRA also broke from its longstanding refusal to disclose information related to the so-called “tax gap” of undeclared assets held by wealthy Canadians in offshore tax havens and is expected to report on the tax gap of corporate tax avoidance next year. Last week, the CRA embarked on a public relations exercise, in which it touted its compliance with international reporting, re-announced the appointment of its first “chief service officer,” and reminded Canadians of national consultations that had already begun. Just one week later, the Auditor General has slammed the CRA for inconsistencies in its compliance activities. Michael Ferguson, FCPA, FCA, may be the powerful chartered professional accountant in Canada. He may have given cover to the CRA to continue overhauling its bureaucracy and tightening enforcement. We will have more to report on the Auditor General’s findings in the coming days. Accountants admire them. Politicians fear them. The public trusts them. But are Canada's auditors general going too far? Are CRA auditors biased against wealthy Canadians?